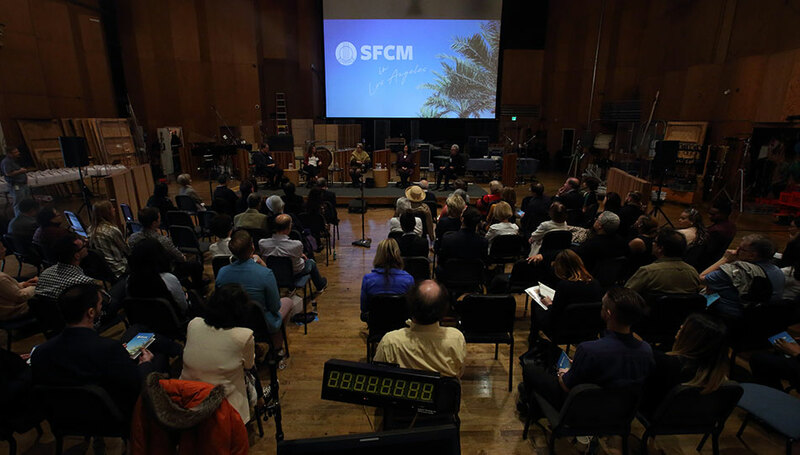 SFCM has recently undertaken an ambitious step in its outreach efforts: to travel around the country and expose communities to the talent and diverse voices and ideas coming out of the Conservatory. 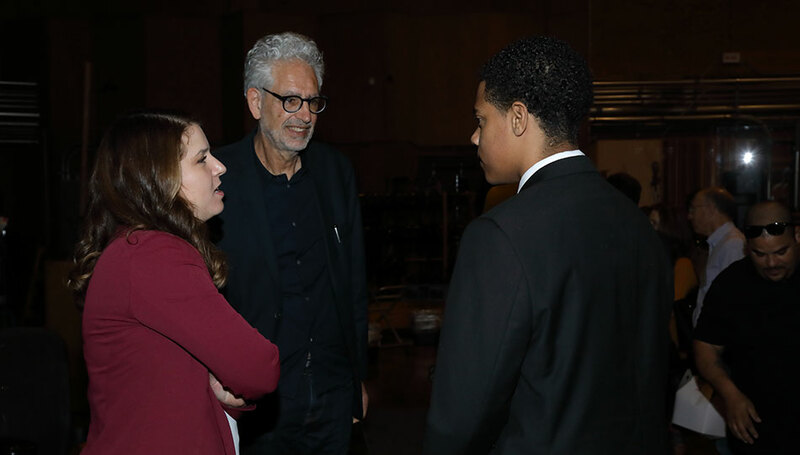 The first of these trips, which took place in February 2018, saw the Telegraph Quartet perform at Carnegie Hall, also featured a panel discussion hosted by SFCM at WNYC’s The Greene Space. 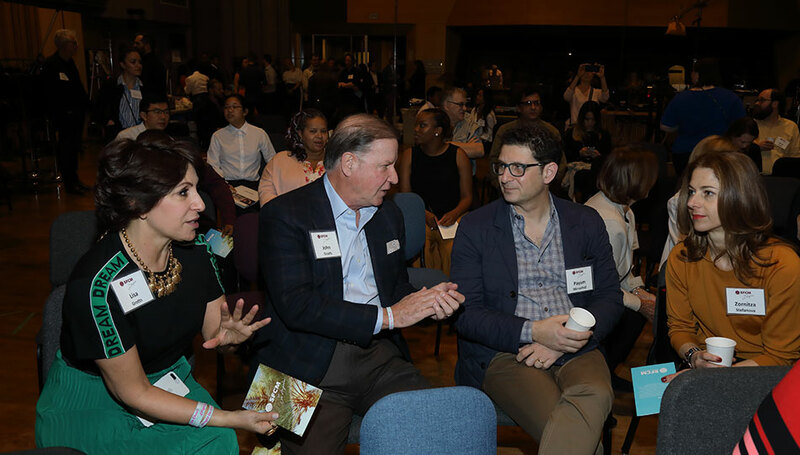 This past January, the Conservatory took another trip—this time to Los Angeles. 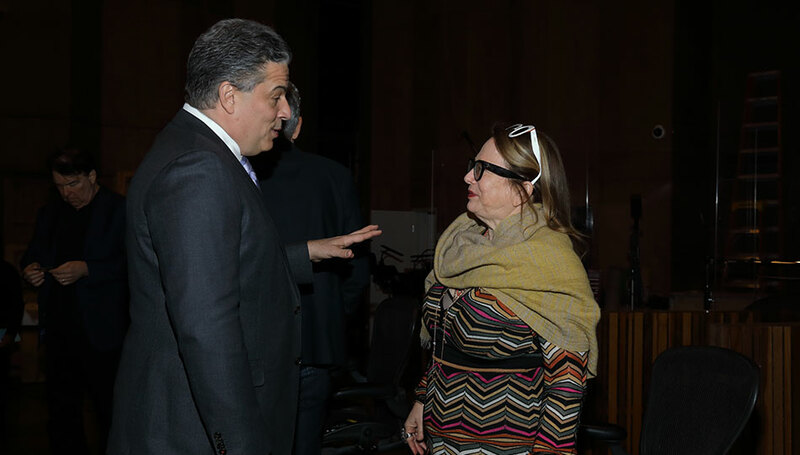 The main event during this three-day excursion was a panel discussion—a partnered presentation between SFCM and 21st Century Fox—about gender and inclusion in the film music world (titled “Opportunity and Inclusion in the Future of Music and Media”) that took place Saturday, January 26 at 20th Century Fox Studios’ famed Newman Scoring Stage. 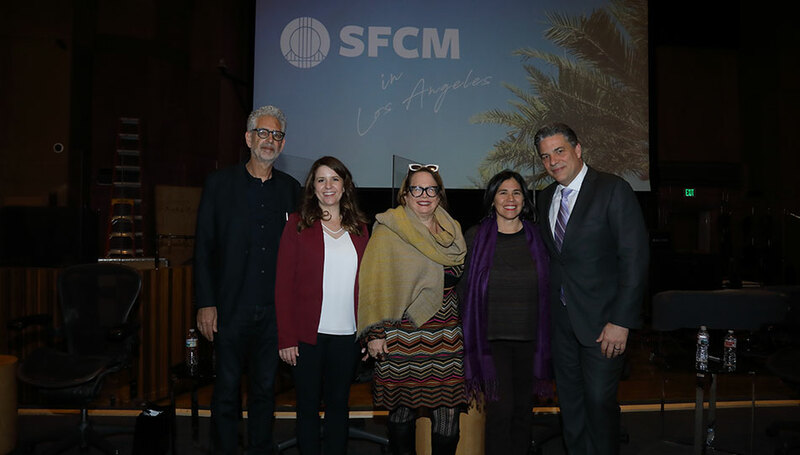 The panel, moderated by Los Angeles Times classical music critic Mark Swed, comprised internationally acclaimed film composers David Newman, Laura Karpman, and Germaine Franco, as well as SFCM Technology and Applied Composition Executive Director MaryClare Brzytwa. 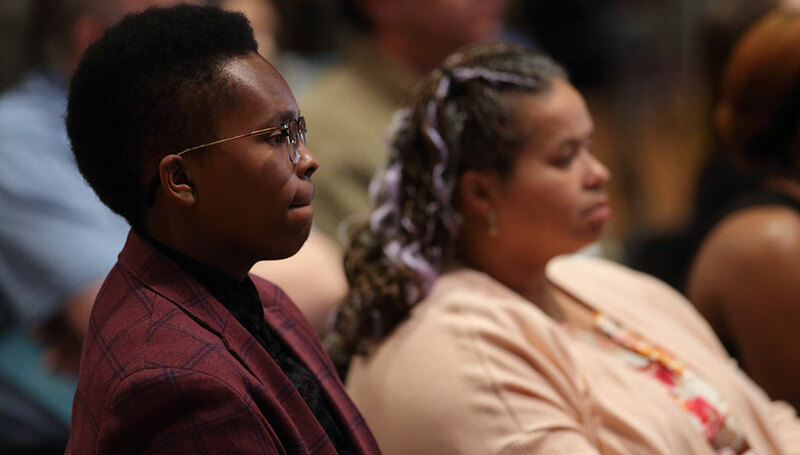 The audience, full of SFCM patrons, alumni, and students from the Inner City Youth Orchestra of Los Angeles (ICYOLA), appeared captivated by the conversation. 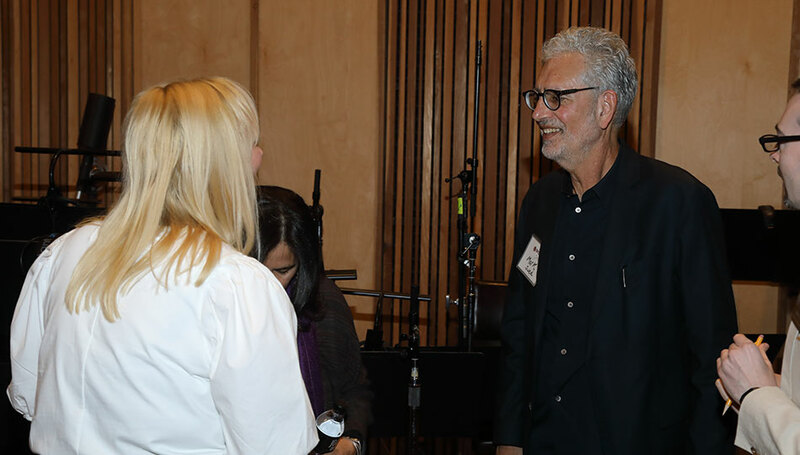 With three women on the panel, there was a unique female perspective heard—one that rarely sees light among Hollywood film composers. 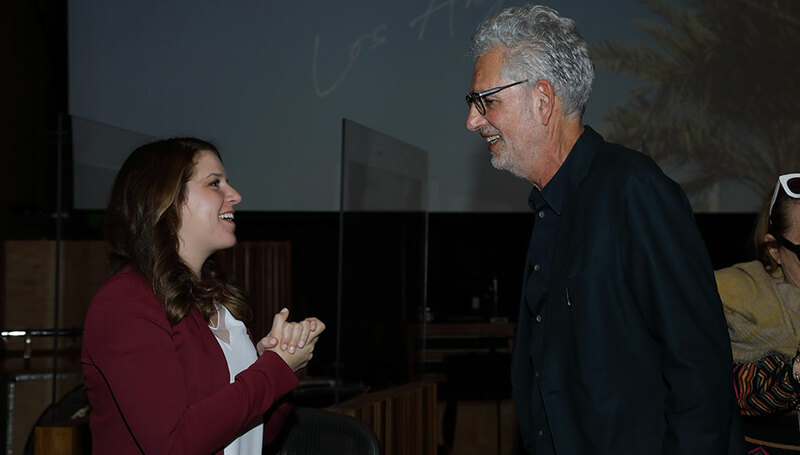 With the amazing music coming from composers like Germaine Franco (who composed the music for the hit animated feature Coco), it’s no wonder female composers are trying to change the playing field to be more equal. “You can’t ask permission to do what you want to do with your creativity,” she remarked. 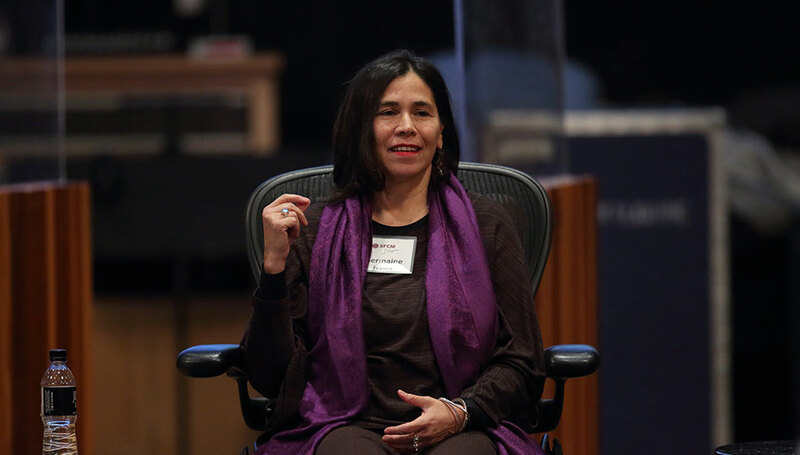 Laura Karpman, a longtime advocate for women in the industry, has also made it her mission to create a more diverse atmosphere among composers. 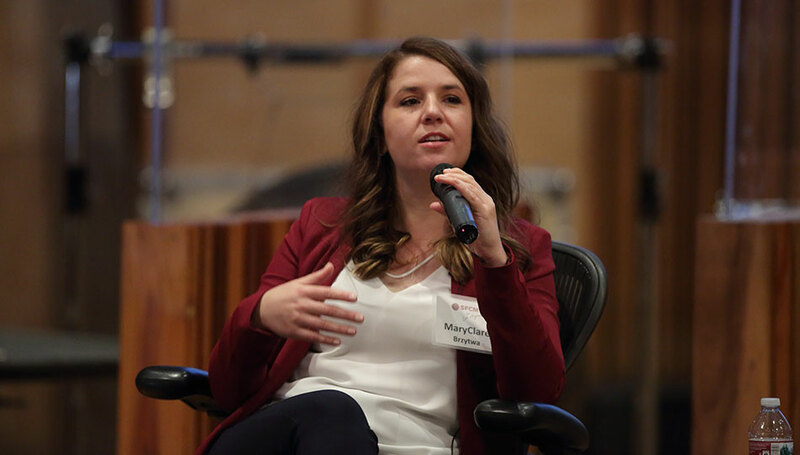 MaryClare Brzytwa added in the behind-the-scenes view from the Conservatory, noting that creating a diverse atmosphere means looking at applicants differently. 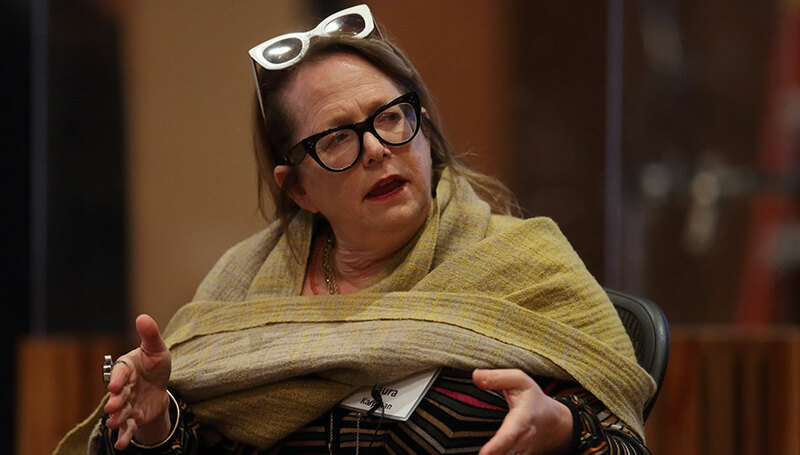 “We want the best talent, we want the best minds,” she said. 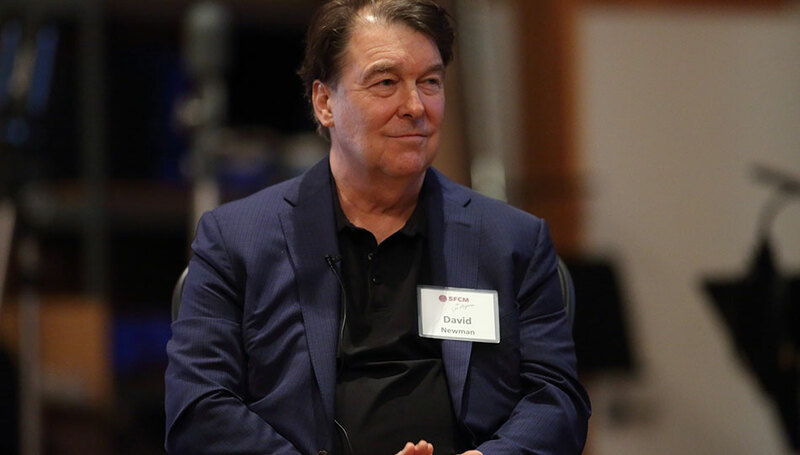 “At the same time, there were certainly kids who came through [the SFCM application process] who just did not play the piano well. And I felt like we can’t just say no to these kids because they can’t play Chopin. 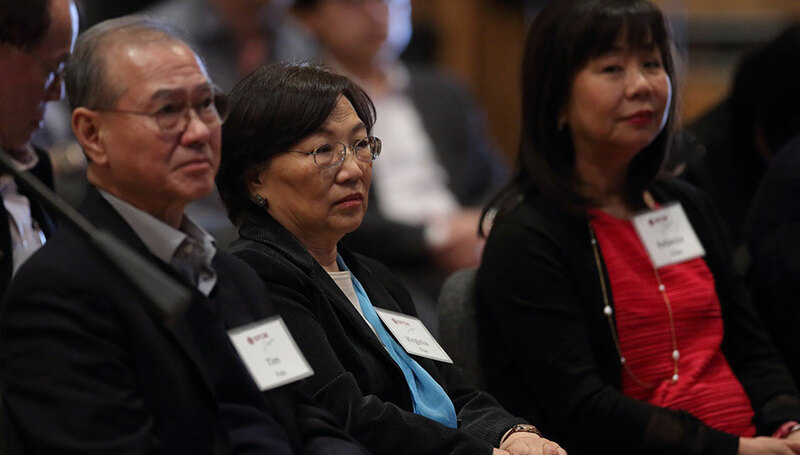 This certainly opened the door for a diverse cohort of students, especially, in SFCM’s Technology and Applied Composition department, which counts among its students an uncommonly high number of women and minorities. In addition, to the panel discussion, patrons and alumni were treated to a fine cocktail hour at Harry Winston’s Los Angeles store where SFCM alumni Anne Suda (’11, cello) and JC De Luna (’13, guitar) performed. 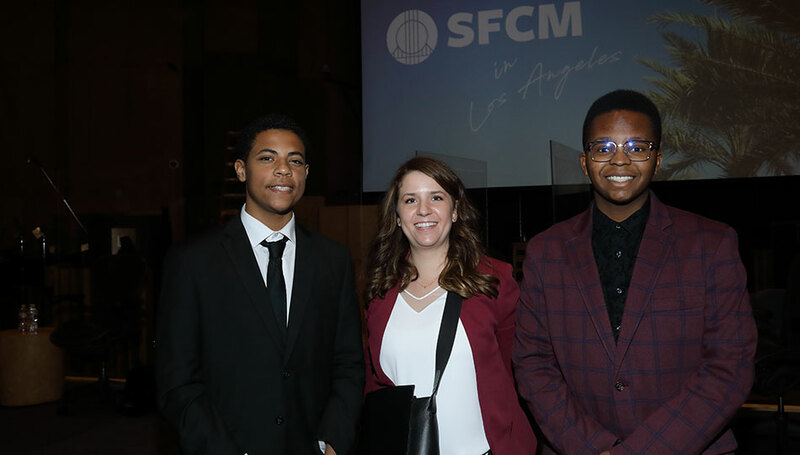 Harry Winston, a corporate sponsor of SFCM, made clear its commitment to the future of music education. 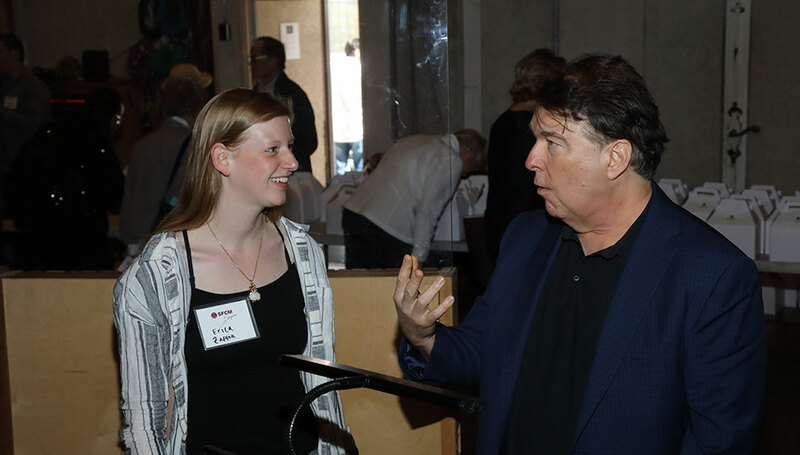 Matthew Coleman, Harry Winston’s San Francisco salon manager, made a speech to all in attendance mentioning the strong connection between SFCM and his San Francisco salon where Conservatory students perform regularly. 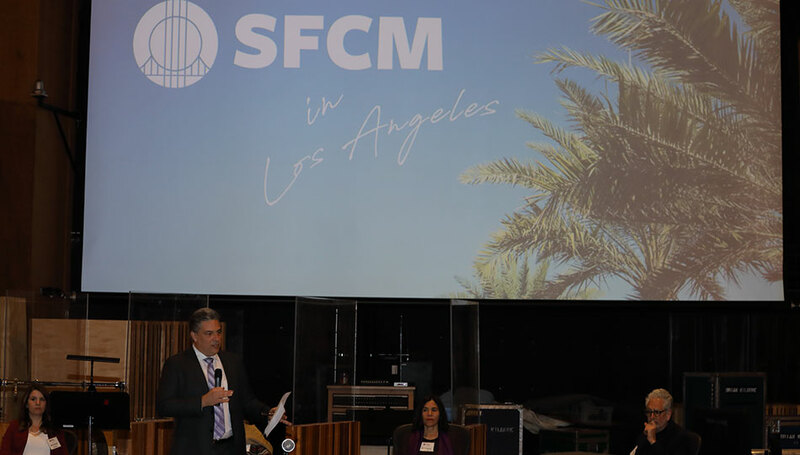 SFCM President David Stull also spoke, thanking all who came for their support of the Conservatory, and specifically pointed out attendee Barbara Eden (of I Dream of Jeannie fame) who was once an SFCM Pre-College student. 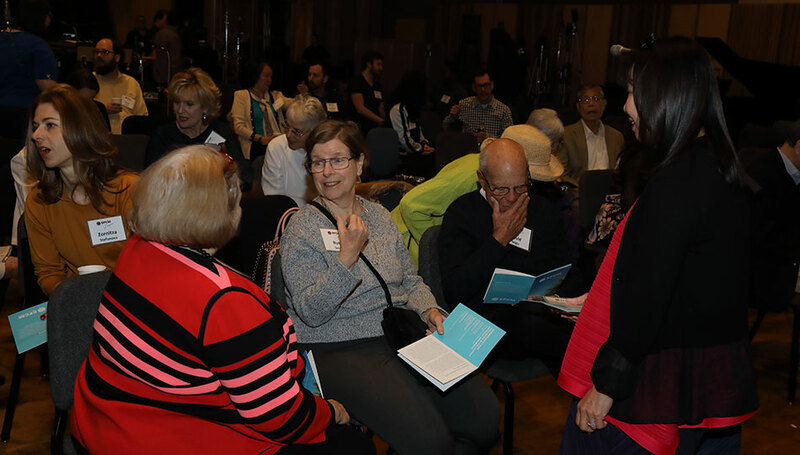 With additional stops to take in a concert at the LA Phil and a tour of The Getty, this trip was as inspiring as they come for music lovers and members of SFCM’s community. The stakes have been raised, but it’s a challenge the Conservatory relishes.